Now I know that you seasoned gardeners don't get too excited when the first plants that start growing out of your gardens. After all, isn't that what's supposed to happen when you plant seeds? This morning I went out to inspect my Victory Garden, still questioning how victorious it's going to be, and good morning, I have plants. My yellow squash, corn, and cucumbers were all coming up this morning! When I was last out in the garden last night there was nothing growing but some tiny weeds. 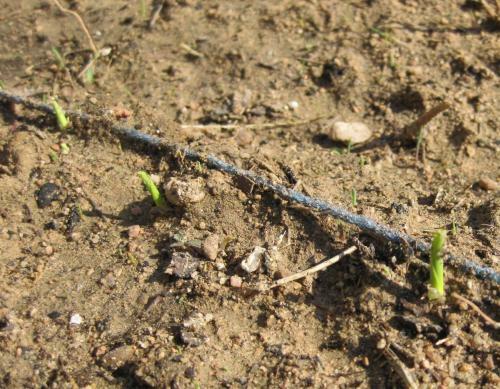 And this morning what I planted last Sunday has started pushing out of the ground. I'm excited! I had to wake the husband up to show him that our first garden was growing. I can't speak for all of the 'seasoned' gardeners, but I still get very excited when things start growing!! Congrats on your first seedlings Liberty! Excellent! I also get excited about seeing the seeds germinate and I have been gardening for 25 years. So we "seasoned gardeners" still appreciate seeing the fruits of our labors and the bounty to be for our tables and feel blessed to see the new sprouts. I still love to see new sprouts even after 34 years of gardening. 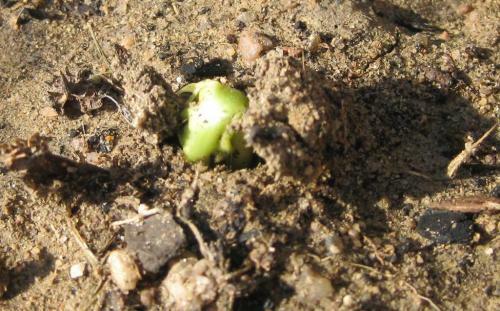 It's a thrill when I see those first green shoots emerging and I hope it always will be. I hope you'll post photographs of your plants as they mature Liberty. 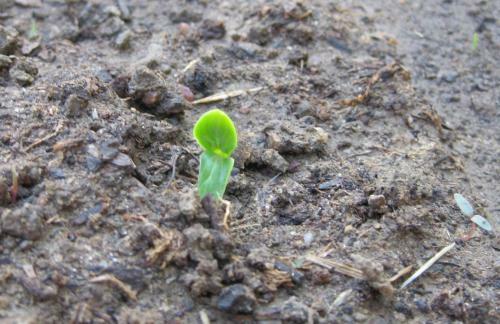 You know Lib--it doesn'ty matter how many years I have gardened noe how many seeds I have planted, seeing the first tip of green excites me like a child at christmas. I think that this boyish-like enthusiasm is what helps keep me interested in this most wonderful of hobbies. I can enjoy seeing your fiste signs of life and know how you ate feeling. Here's wishing you continued success. I'm with Eileen on this one - even after nearly half a century of gardening it is STILL a thrill to see a new plant coming through! And when you have something like Nicotiana sylvestris, where you sow seed like dust in the spring, and end up with a five-foot plant in the summer - that's magic!